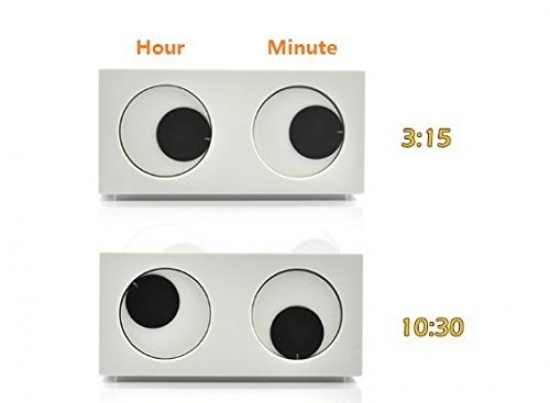 The Rotating Eye Clock rotates its large googly eyes to display time, with the left eye looking at the hours and the right eye looking at the minutes. Needless to say, this unique timepiece will guarantee plenty of laughs when the pupils look in zany directions (imagine 9:15 or 3:15). 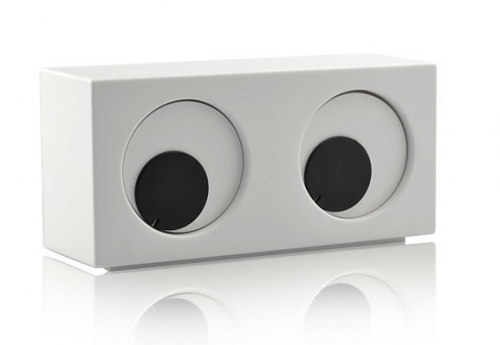 As one of the coolest and most unique desktop clocks to date, the Rotating Eye Clock is also an eye-deal gift for clock collectors, lovers of cool gadgets, or just simply for you to add some coolness to your room.